Are Floors Affected by Humidity? Why have gaps appeared between the planks of my floor that weren’t there before? Typically, ’gapping’ occurs when the humidity in the house falls below the recommended level. This causes a drying of the floorboards that results in slight shrinkage, creating gaps between the boards. You will often see this in the winter, especially in houses with dry heat. One way of mitigating the situation is to increase the humidity in the home. 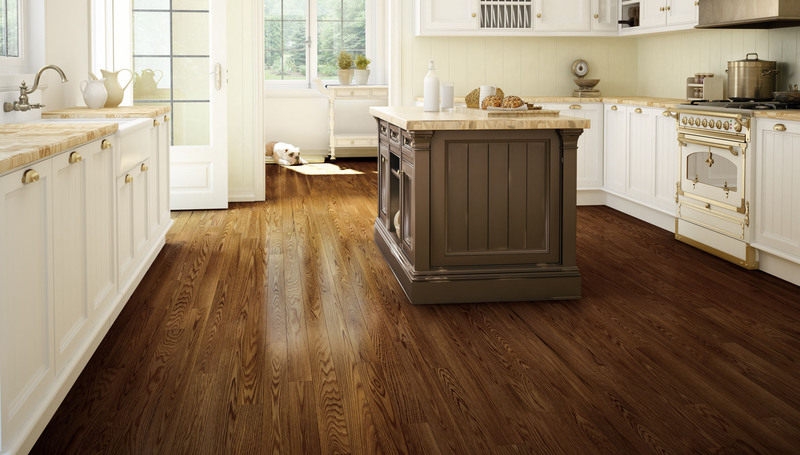 Why is the humidity of a house so important with wood flooring? Keeping the humidity at a recommended level is essential to a “healthy” home environment and for keeping a great hardwood floor. Wood is a natural material that reacts to changes in its environment. So it is important to keep humidity at recommended levels at all times, even when the home is unoccupied. Excess moisture causes wood to expand, and insufficient moisture causes it to contract. Should I have a humidifier in my home if I have hardwood flooring? That depends a lot on the climate where you live and type of heating you use in your home. In more temperate climates with variable humidity, they aren’t really required; but in cold, dry regions where homes are heated in winter, humidifiers can be very helpful, not just for the floors but for the comfort of people, plants and pets, too.